Basil and Roses is pleased to announce a new cocktail tasting and nosh at De Novo European Pub in Upper Montclair. The event features author,Warren Bobrow, The Cocktail Whisperer. Mr. Bobrow will be giving his latest talk on contemporary and classic whiskey cocktails on March 31, 7:00 pm – 8:30 pm. With his usual mix of dry humor and gift for storytelling, Mr. Bobrow will give an entertaining presentation while he demonstrates how to make three artisan whiskey cocktails. Attendees will taste and learn how to make these delicious and healing (really) creations at home. So grab your bow tie and a rocks glass because Warren is going to be introducing us to whiskey’s diverse and complex taste. Ticket price is $55 for the class, cocktail tastings, and a light nosh. Included in the ticket price, is a copy of Mr Bobrow’s newest book, WhiskeyCocktails: Rediscovered Classics and Contemporary Craft Drinks Using the World’s Most Popular Spirit (Fair Winds Press) The book features 75 newly-created, and original recipes for whiskey-based cocktails and has been heralded, by TastingTable.com, as “One of the best new whiskey books of 2014”. Warren will personalize your copy of his book, if you wish. Also available for purchase, or as an alternative to Whiskey Cocktails will be Warren’s first book: Apothecary Cocktails: Restorative Drinks form Yesterday and Today. 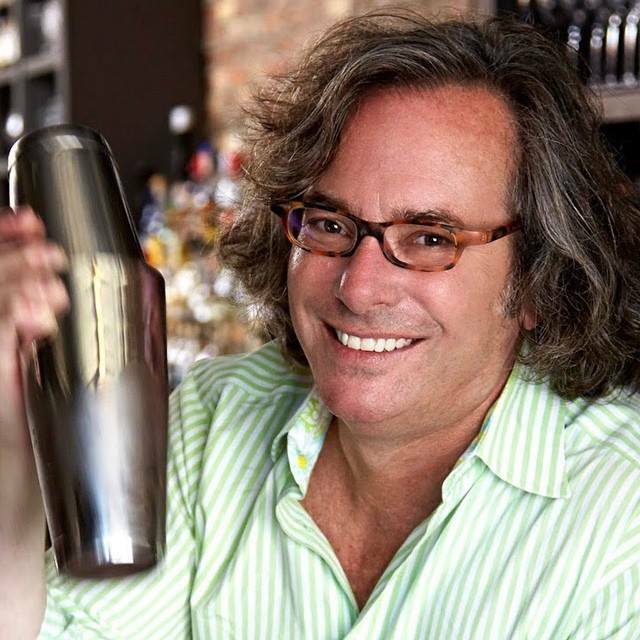 About the author: Warren Bobrow has published over three hundred articles on food, wine, and cocktail mixology in just over three years. In addition to his popular blog, The Cocktail Whisperer, Warren is the “On Whiskey” columnist for Okra Magazine at the Southern Food and Beverage Museum in New Orleans. He has written for the Williams-Sonoma blog, Foodista.com, Voda Magazine, Saveur, Serious Eats, The Beverage Journal and Edible New Jersey. Warren is on the Drink Careers 101 Advisory Board. He was a 2010 Ministry of Rum judge and an Iron Mixology judge at the Charleston Wine and Food Festival. Warren was the only journalist from the USA asked to participate in Fete de la Gastronomy 2012 in Paris for Atout France and the French National Tourist Board. Tickets for the evening at $55 each. The event is limited to 24 guests. 21 and over please.